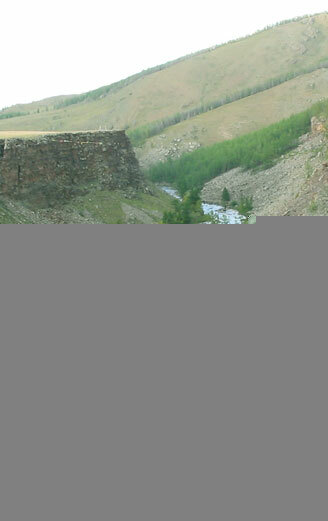 Arrive in Ulaanbaatar and transfer to a three or four star hotel. After lunch, take a city tour including a visit to the National History Museum, where you will see artifacts from Mongolia and Central Asia from the Stone Age to the present, and an excursion to the Zaisan Hill War Memorial to get your bearings with a panoramic view of the whole city. Dinner and overnight in the hotel. Transport to Karakorum (380km). Lunch on the way. Arrive at the camp in the late afternoon. In the evening stop by a local horse breeder's family. Overnight in traditional dwelling ger at the tourist camp. Drive to Orkhon Waterfall (120km). Arrive in at the waterfall late afternoon. Packed lunch. Excursion to the beautiful Orkhon Waterfall. Hiking and photo session along the river. Overnight at the ger camp. Start the drive to the Shankh Monastery to attend chanting and meet with the monks. Lunch at the tourist camp. In the afternoon, visit a nomadic Mongolian family and learn about their lifestyle. Overnight at Ger Camp. After an early breakfast, visit Erdene-Zuu, once one of the largest monasteries in Mongolia. Tour of the monastery grounds and several chapels with excellent examples of Buddhist iconography dating from the 16th century. Visit the ruins of Karakorum, the 13th century capital of the Mongol Empire. Return to Karakorum base camp for lunch .In the afternoon, drive to Bayan Gobi (80km). Overnight in Ger camp. Drive to Ulaanbaatar. On the way visit Hustain Nuruu National Reserve to view the Przewalsky wild horses, recently re-introduced back into Mongolia (165km). Arrive in Ulaanbaatar in the late afternoon. Check in to your hotel. Tour to Gandan Monastery, followed by a tour of the Fine Arts Museum. Lunch at the hotel. In the afternoon visit National History Museum. Enjoy an evening folklore performance. Flight to our base camp in the Gobi. Lunch at base camp. In the afternoon, visit a camel breeder family for a photo opportunity, a camel riding session and to explore the nomadic lifestyle. Enjoy a peaceful evening in the Gobi Desert. Overnight in comfortable Mongolian gers. Visit Yol (Lammergeyer) Valley National Park (18km) for a morning trek and an opportunity to photograph the stunning landscape, the Gobi Glacier and intriguing wildlife. Packed lunch in the National Park and leisure hiking. Return to base camp. Dinner and free time. A day trip to Bayan Zag, the Flaming Cliffs (80km), and explore the "Gobi Dinosaur Cemetery" and the trail of Roy Chapman Andrews*. En route visit Moltsog Els sand dunes and have a picnic lunch. After the excursion drive back to base camp. Late morning flight to Ulaanbaatar. Lunch in the hotel. Afternoon tour of the Bogd Gegeen Palace, the beautiful Winter Palace of the last Mongolian Khan, who ruled until 1924. Flight to Murun, the capital of Huvsgul province, and drive to the base camp at Lake Huvsgul (120km). Overnight in our ger camp. Full day to explore the breathtaking alpine scenery of this beautiful lake. There will be an ample opportunity to experience local nomadic lifestyles. Free hiking and photo session along the shores of the lake, home to diverse wildlife and countless birds. Drive back to Murun to catch a morning flight to Ulaanbaatar. Lunch in the hotel in Ulaanbaatar. In the afternoon, tour to the Gobi cashmere factory for shopping for original and pure cashmere gifts and garments. Gala Dinner.